Vacations, the potential breaker of our stress cycle, are immensely important for every single person on the planet Earth. They are a great way to escape the stressful drudgery of daily life and simply unwind from the constant stimuli. The idea of relaxing with our friends and family or just enjoying some quiet, peaceful time sounds almost perfect, right? And vacations give us the opportunity to do all of these pleasant activities. But there are lively and energetic people out there who hate rest days and are all for making the most of their vacation by learning a new skill or trying a new sport! The first thing that pops into their mind when they think of “vacation” is fun, adventure, and sports. If you also happen to be one of those full-of-life people, you have landed on the right page. But if you are a golf lover or interested in trying this game – even better! Psstt.. we have an ideal golf destination for you, where you can fulfill your love for this challenging sport. Do you know what that place is? It’s River Strand Vacation Rentals. But before we talk about this ideal golf destination in detail, let’s fill you up with some knowledge of golf. The unparalleled thrill that one gets by scoring a hole speaks volumes of why travelers around the world consider a golf vacation time and again. A quick glance at the history of golf tells us that it was invented in Scotland in 1457. The game became so popular that King James II had to ban it eventually. Why? That’s because his troops indulged themselves in playing the game to the extent that they stopped showing up for archery training. Apparently, it was the Scottish aristocracy that made the game popular throughout Europe. However, it wasn’t until the mid-19th century that the sport really attracted the masses. Today, people who plan for a golf vacation, have a host of incredible options, regarding an ideal golf destination. However, choosing “the one” could be a difficult decision. To make things easier for you, we bring you the best golf resort that will make your long overdue vacation a thoroughly enjoyable one. Why should I choose this place? – You may wonder. To answer your question, we present to you some fantastic reasons. So, read on! Designed by the highly-regarded golf course designer – Arthur Hills, the golf course is strategically created to suit both beginners and experienced players. 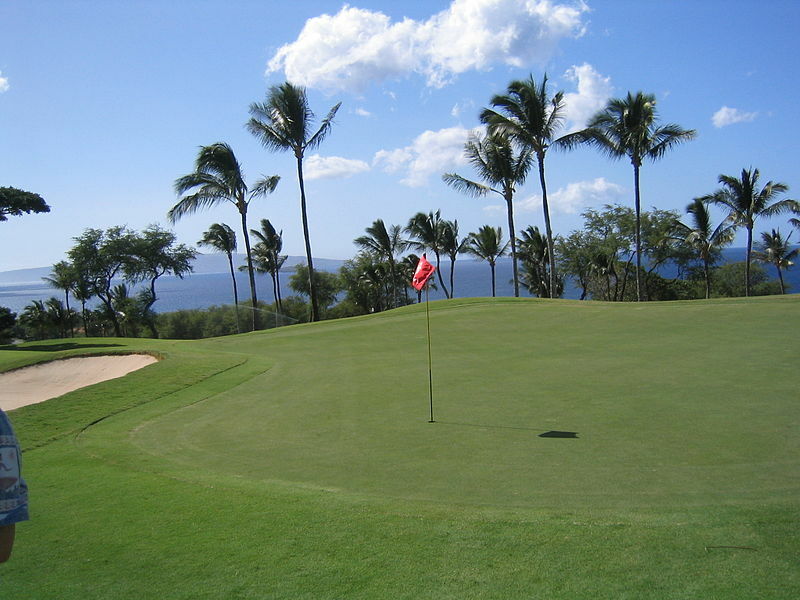 The golf course includes 27 champion level holes, great for both low and high handicappers. Moreover, River Strand happens to offer helpful golf lessons to all the beginners who are planning to visit. It is hard to come by a golf club that pleases both amateurs and experts simultaneously. If you are a first-timer and not sure where to practice golf, here’s your chance to precisely do that. You can also bring your family and friends and learn together. An added bonus for all golf players that are coming out to play at River Strand is the serene natural beauty surrounding the golf destination. River Strand is located in stunning Sarasota, Florida. The golf course features a breathtakingly beautiful view of the Manatee River with an abundance of palm trees and live oaks. It is a treat to play golf in a soothing and comfortable environment like this. When you are tired of playing golf, you can always relax by the scenic river and enjoy all that nature has to offer. Seriously, what could be better than that? River Strand offers the opportunity to relax in the clubhouse when you are worn-out after a long day on the course. There, they can hang out with other golf enthusiasts, chat with them, befriend them, or challenge them to another round. The clubhouse can give you a great chance to meet new people who are equally interested in golf as you are. Maybe by talking to them, you can pick up a few tips for the next time you play. Apart from that, you can enjoy a variety of yummy foods and drinks in the clubhouse. If that’s not your “thing”, you can also try the tiki bar, which offers a wide range of flavorful and refreshing drinks. If you thought that River Strands is just for golfers, think again. Although the golf course is the main attraction of this destination, there are plenty of other activities that you can try. The unique destination also hosts a 3500 square foot fitness center. All the fitness freaks out there must check this place out. In addition to playing golf, you can have a great work out, warm up and even give Yoga a try!! Not in the mood to play? No worries! You can always relax by the poolside and read your favorite book. Don’t get us wrong, River Strand offers resort style pools where you can swim or just sit back and enjoy the calming water and Florida sun. For more fun and adventures, you can later visit Sarasota – a diverse city in Florida – and enjoy its unique cultural and dining amenities. Don’t worry; it isn’t far from River Strand! So, what are you waiting for? Contact Jennette Properties and book your golf trip to River Strand Vacation Rentals ASAP!